It’s been a common struggle for parents around the world for decades, how do we get our kids to read, and learn to love to read? Before age six children have enormous capacities for learning languages and developing lifelong reading skills. Yet, some struggle to learn and comprehend what they are reading. Start by reading with your child. You can begin to read with your child as early as birth. Read at least one story or chapter of a book with your child every night before bed. It can help create a special bond with your kids, help to relax them and let them learn about the magic of books. You can read anywhere in the house too. You can read in bed, on the couch, the kitchen table, your favorite recliner and, if you live in climate that permits it, you can even read outside everyday. Create a reading nook. One of the best ways to encourage the love of reading is by setting up a reading nook for your kids. Nooks can come in all shapes and sizes. Even a large closet can become a reading nook. Reading nooks are a nice quiet place for your kids to listen and read along with books on tape too. 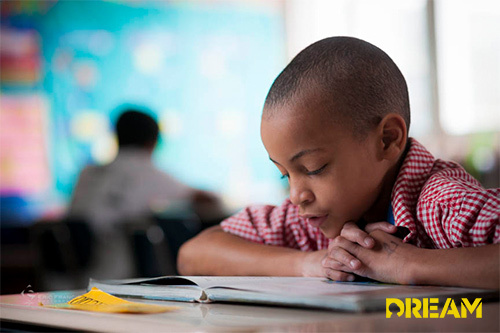 Make reading an essential part of your children’s lives by encouraging a wide variety of reading activities. Let them read menus, movie names, road signs, game guides, weather reports and any other practical everyday information. Always try to make sure your children have something to read in their spare time. Reading for pleasure is one of the best ways for a child to improve his performance at school, but teaching a child to love reading involves a lot more than simply handing them a book. Letting children have choices in their reading material goes a long way in raising lifelong readers. Kids who choose what they read, regardless of whether it’s a novel, a comic book, or a magazine, are more engaged with what they are reading and more likely to retain the information. Technology is changing the way we all learn, and it can have a positive impact on kids and their reading. By adding technology like tablet e-readers to the classroom, students’ self-esteem and confidence can rise. Technology also gives students who have grown up in an age of smartphones and ubiquitous computers another outlet with which they are familiar to grow and learn. Building self-esteem through applied technology and increase reading skill can have a positive ripple-effect on every other area of a students life.